Do you have a list of places you absolutely still need to visit? And just when your holiday budget is getting tight, the desire to travel only increases – right? There is only one thing you can do: If you can’t go to a faraway land, bring the faraway land to you! With just a few ingredients and the right recipes, you can dream of where you have always wanted to be. We’d go to the Far East. But until we have the right amount of change in our pockets, we’ve simply got our Oriental Couscous Salad with Herbs. Mmmmmm …. Delicious! Mix the couscous with olive oil and soak for 30 minutes. Finely chop the onion, peel the cucumber and dice. Finely chop the flesh of the lemon. Bring the vegetable stock with saffron and a pinch of salt to a boil and pour over the couscous. Mix with a fork and leave to rest for 15 minutes. Mix the vegetables and the chopped herbs into the couscous and season with salt, pepper and white wine. 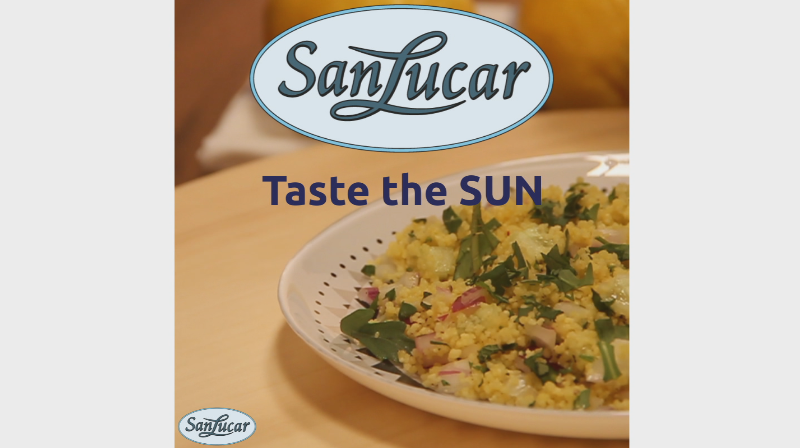 Decorate the herb couscous salad with finely chopped arugula lettuce.